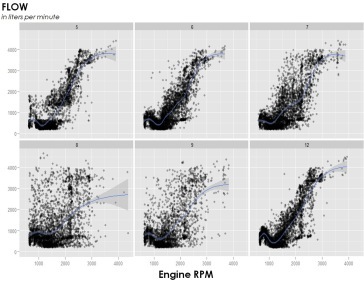 Large Informatics Framework for Vehicle Emissions Monitoring | Resource Systems Group, Inc.
RSG’s data and software teams designed and created a large and scalable informatics platform for extracting, transferring, and loading a vehicle emissions monitoring data stream into a structured SQL database engine. Prepared to process large volumes of on-board data, the system and peripheral components processed the spatial and temporal data sets, performed automated data validation, cleaning, and statistical correlations to make needed imputations. The resulting platform then produced analytical data sets for modeling of the drive – engine – tailpipe system.